Students from the Fenn School in Concord visited Lovelane to learn more about our non profit work to serve children with disabilities through the benefits of therapeutic riding. The students conducted a site visit, interviewed staff, received a tour, watched a lesson and asked questions. 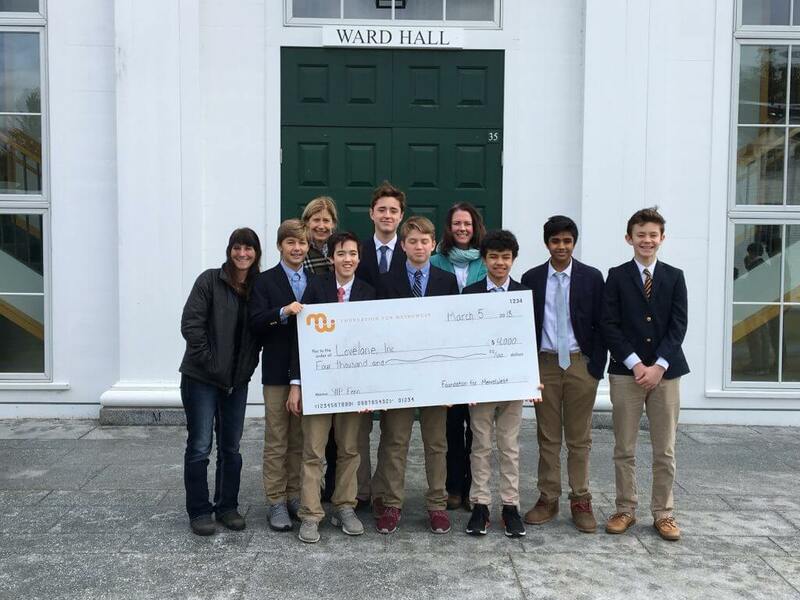 Lovelane was chosen by the students to receive a gift of $4000 to go toward tuition assistance. Thank you students of Fenn and thank you Foundation for MetroWest’s Youth in Philanthropy program. It was an honor to meet you and we look forward to learning more about all of the great work we are sure you will do!